Hello lovely people, how are we all doing?? welcome back to my blog. Thank y'all for the love you showed on my last skin care post HERE. Wow! Like I mentioned in that post, skin care is really important to me and i'll be taking it seriously this year especially the ones that contain natural ingredients. Today on the blog, i'll be talking about some skin care products I received from a made in Nigeria skin care brand popularly known as ARAMI which is translated into MY BODY. I love the fact that Nigerians are into skin care and God has really blessed us with amazing raw materials that are beneficial to the skin. Arami is a Nigerian based skin care brand which was created to provide natural beauty essentials for a simple, fuss-free routine. This brand was founded on two major beliefs - your skin doesn't need complex products to thrive and natural ingredients are best. I actually support this. Great skin is also a sign of healthy living. One of the things I really love about this brand is their packaging. 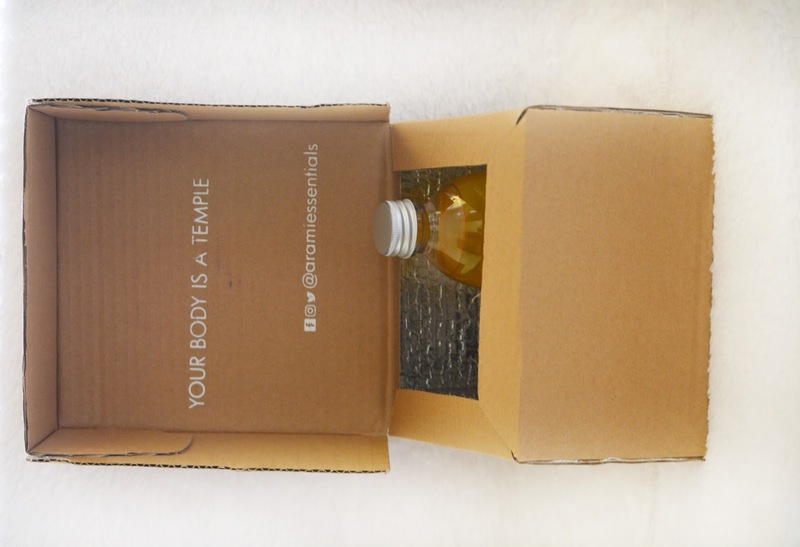 My items came in this cute little box which had Arami written on it and when I opened it, it had this write-up that said YOUR BODY IS A TEMPLE. Prior to this collaboration, I had seen this skin care brand all over Instagram and I'm happy to be working with them finally. Glow Oil (Sweet Oud): This is a 100% cold-pressed down shea nut oil with sweet scent. It smells like gum. This oil gives soft hydrated skin and hair, strengthens hair and stimulates growth, fights wrinkles, scars and stretch marks, soothes eczema, psoriasis and dermatitis. Its also safe for the face. Really excited to try out these products and its surprising that they are really affordable. Please check them out on Instagram HERE, Twitter HERE and Facebook HERE. Also, these products are readily available for sale. There's going to be an updated blog post letting you all know how far and what I think about the products. Have you tried out their products before?? i'll love to know. See y'all in my next blog post.